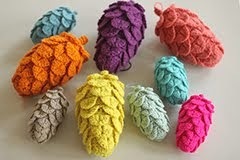 Here is my English version of the crochet pine cones. 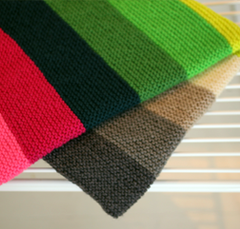 Any yarn will do for these; cotton, wool, lurex... Just make sure to match yarn with the right hook size. 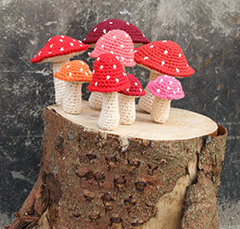 I mostly did them in wool (sport weight) with a size 3 mm needle. 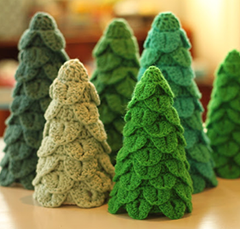 The cones are crocheted using crocodile stitch. 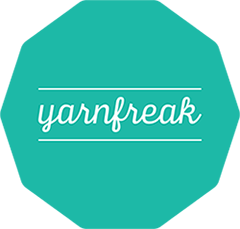 If you haven’t tried this before, there are plenty of great tutorials to be found online. *Work 5 dc down post of 1st dc of V, ch 1, 5 dc up post of 2nd dc of the same V, ch 1, skip 5 dc* Repeat from *-* Join with a sl st in 3rd ch. NB: 1st dc in each round is replaced by 3 ch. No ch between these. *Work 2 hdc and 3 dc dc down post of 1st dc of V, ch 1, 3 dc and 2 hdc dc up post of 2nd dc of the same V, skip the 2 A’s* Repeat from *-* Join with a sl st in 2rd ch. NB: 1st dc in each round is replaced by 2 ch. - 1 'floor' consists of 1 rnd of dc’s, 1 rnd of scales and 1 rnd of sc’s. - Without any increase there are 6 sc on top of each scale. 2. Crochet 3 scales. Join with a sl st.
2. 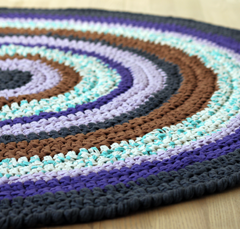 Crochet 4 scales. Join with a sl st.
2. 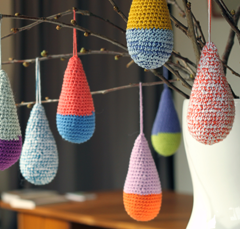 Crochet 5 scales. Join with a sl st.
2. Crochet 6 scales. Join with a sl st.
1. Ch 3, 1 dc in same st (V), 2 dc together (A), 2 dc together (A), *V, A, A*. Repeat from *-*. Join with a sl st.
2. Crochet 5 small scales. Join with a sl st.
Stuff the cone with fiber filling. The stem is crocheted in a spiral and in back loop only: 2 sc together until there is only 5 sc left. After this 4 rounds with 1 sc in each st.
Fasten up and you’re done! Flotte :o) - tak for opskrift. 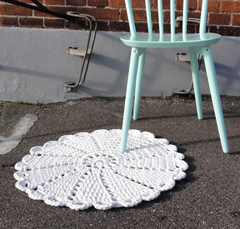 No Jo, she said the pattern is in English, not that the terms are UK for crochet. It's US terminology. 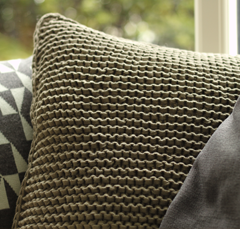 There is SC in the UK, but we don't use it much beyond the odd slip-stitch. I'm assuming this is actually written in American, not English, especially with the reference to a "half double crochet", which would be a very odd concept. Thanks so much for sharing your design for these cute little pinecones. 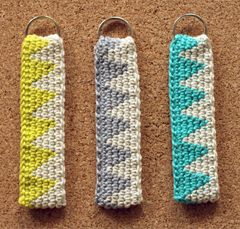 I'll be stretching my hooky skills a bit, since I've never tried the crocodile stitch. But there's no time like the present to give it a go! Thank you so much for sharing your pattern. 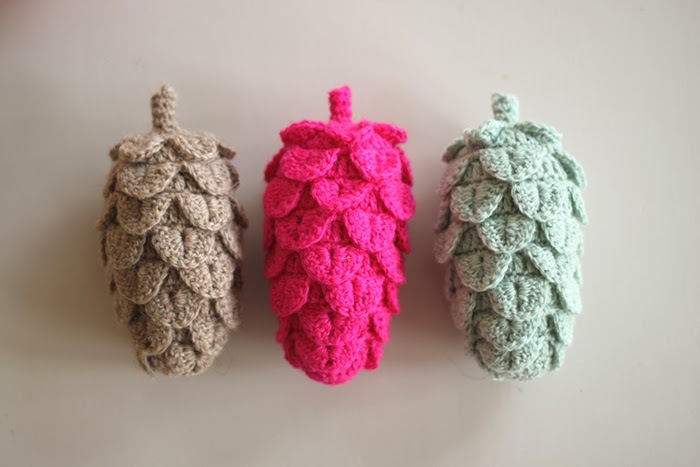 These cute cones are beautiful! Your numbered order for the scales and floors is confusing. It's gets even more confusing when you state "V" but it does not state, if that is when I am suppose to make a scale, or is that just for a V Stitch?! I'm confused as to what I do in part 3 of first floor. Does the new sc just go underneath the top of the scales? Great Thank you for sharing! !